Today is Global Hand Washing Day! Have you ever been in a public restroom and noticed that not all people wash their hands? This has happened to me on occasion, and I have all I can do to stop myself from yelling, “WHAT ARE YOU DOING? 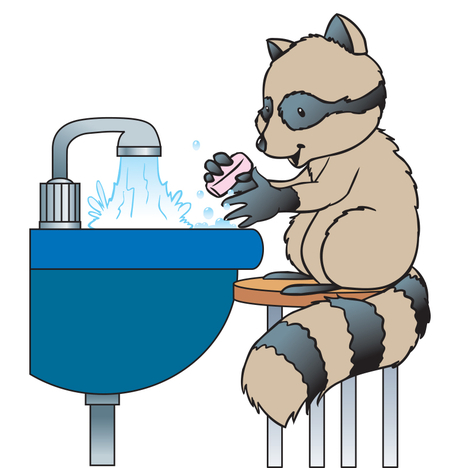 ?” Because we, as teachers, know that hand washing is an important part of personal hygiene. That’s why we teach the practice to our students. So what could happen to these misguided souls who walk right past the sink in a restroom? Check out this slightly gross article for details. Here’s a terrific song to help you impress upon your youngsters the importance of hand washing. We sing this song in my Two’s Classroom. In fact when I first learned I’d be washing my hands in a Public Restroom just singing away. The Ladies would smile at me and say cute song. Where I would reply sorry a two year old teacher with the hand washing song stuck on my mind. Lol!